Last night I had the last session of a 4-week hockey skills and drills group. The emphasis was on skating and it was a great workout. The 60-second drill induced flashbacks to high school and college hockey days. Then there were these rectangular pads that we had to jump over, landing on a single skate blade and leaping over the next pad in a running kind of motion. I termed them “torture pads” and again, it caused flashbacks to high school and college hockey days. Meanwhile, I’m royally embarrassed. AND THEN, another guy goes, “Yeah, we had the Citrusy Mexican Pulled Pork tonight it was really good! My wife loves the cookbook!” WHAAAAAAAT?!?! You guys, it was bananas. What does locker room talk in the guys’ locker room consist of exactly? I want in! It was so sweet! Next time, I’ll have to tell them about my blog because lately I’m batting 1.000. 😉 So many winners it sure makes dinner-making…and dessert-making a real treat! We’ve been well-stocked with fresh, local Michigan peaches over the past few weeks and the fruit flies love them nearly as much as we do. In order to mitigate the situation, I did the obvious thing – made dessert. 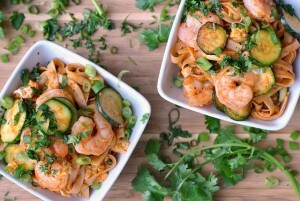 This recipe piqued my interest on Pinterest because it’s SO cute! The flavor combination of these gluten-free flours was spot-on. 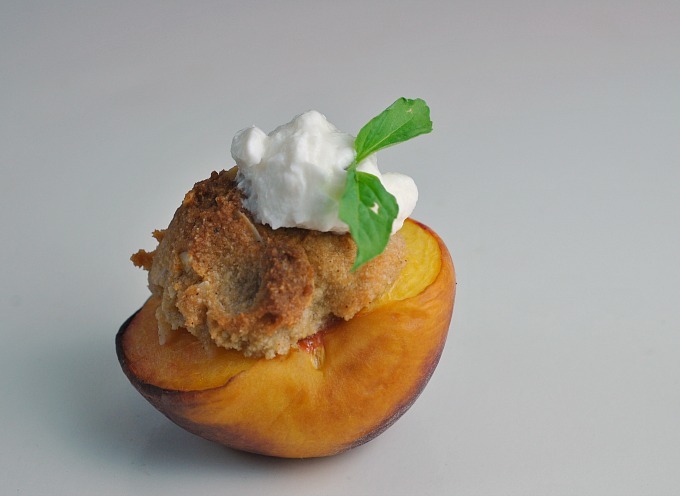 The addition of almonds and almond extract create a top-notch flavor profile in a tender and sweet peach. 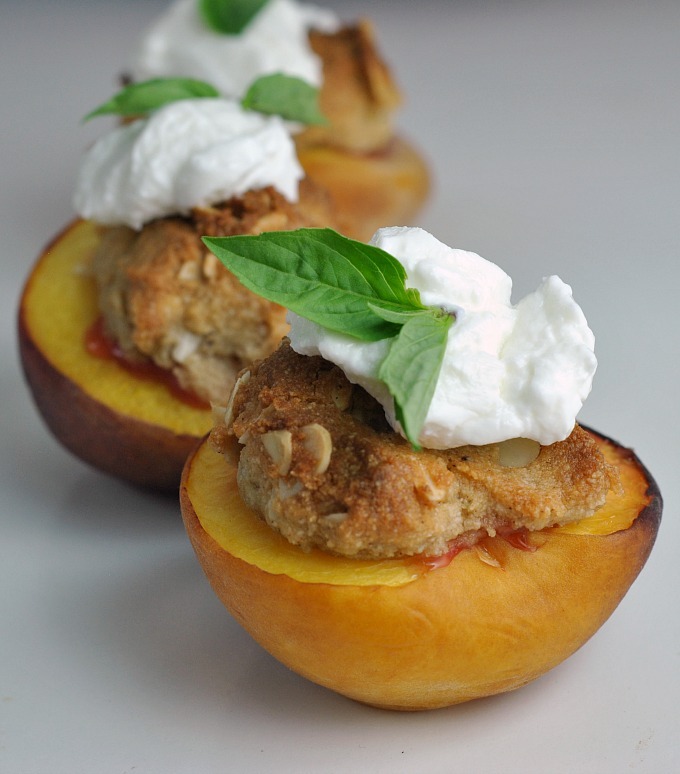 It’s everything you love about peach crisp in an individual portion and full of better-for-you ingredients. 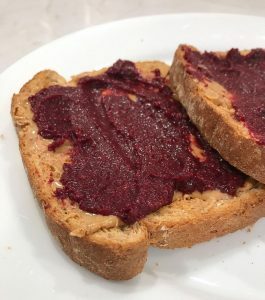 Simple to make, too! 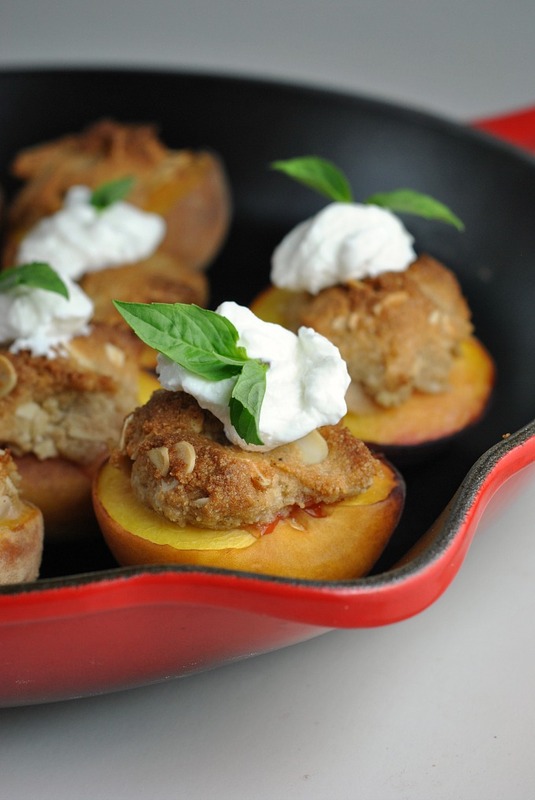 Preheat oven to 350 degrees F. Place peaches cut side up in a pie pan or oven-safe skillet. In a medium bowl, whisk together the almond flour, coconut flour, tapioca flour, cinnamon, nutmeg, and salt until well-combined. To the dry ingredients, add the almond extract, maple syrup, and coconut oil. Mix until a paste consistency forms and ingredients are well-mixed. Fold in the slivered almonds. Scoop a heaping tablespoon of the mixture into the center of each peach half, gently filling in the well where the pit was removed. 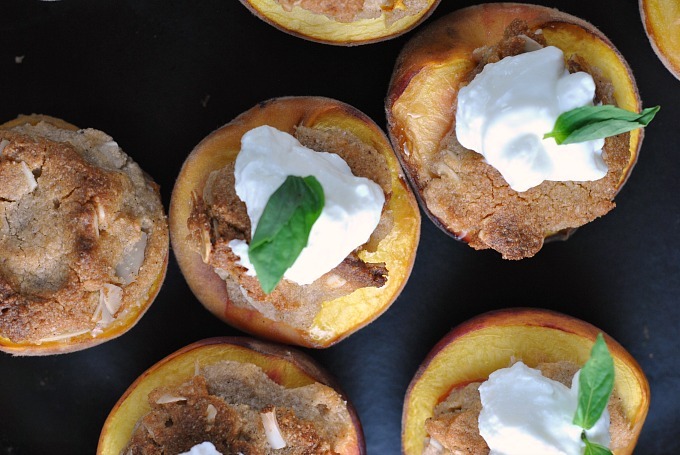 Bake for 30-35 minutes or until peaches are browned and crisp is golden. Cool slightly and top with ~1 tablespoon of yogurt before serving.